Equity markets have once again entered a high volatility regime at the end of the year 2018. Risk of an economic slowdown increases and investors and traders are looking for trading strategies which can perform well in such uncertain times. We at Quantpedia can help with that! I am really excited to give you an opportunity to work with a new filtering field in our Screener, which you can use to find strategies that can be utilized as a hedge/diversification to equity market risk factor during bear markets. Come and find your new hedge! Assets under management of exchange-traded funds (ETF) have been growing significantly, yet the majority of ETF trades still occur on U.S. exchanges. We show that investment decisions of both institutional and retail investors when trading international country ETFs are mostly driven by shocks related to U.S. fundamentals, measured by VIX, rather than local country risks. Investors react only to negative news about local economies. When U.S. economic uncertainty increases, investors leave the country ETF market and switch to Cash ETF products. We demonstrate that ETF arbitrage mechanism is one of the key channels through which U.S. shocks propagate to local economies leading to increased return correlation with the U.S. market both in time-series and cross-sectional dimensions. We find that countries with stronger ETF price-discovery and lower limits to arbitrage tend to have a higher comovement with the U.S. market. ffect of ETF trading as a transmission mechanism of U.S. market shocks to foreign country equity markets. We provide a view that as the U.S. accommodates the largest share of ETF global trading volume, its market conditions directly impact the decisions of country ETF investors. We show that international ETF market participants trade based on shocks related to U.S. fundamentals rather than local ones, and propagate those shocks to local markets. The shock transmission is performed via ETF arbitrage. We argue that such arbitrage activity is one of the few mechanisms responsible for increasing correlation between the U.S. market and the rest of the world. ts of emerging market strategies. ect of political risk is much smaller than of changes in U.S. VIX. fferent volatility regimes. 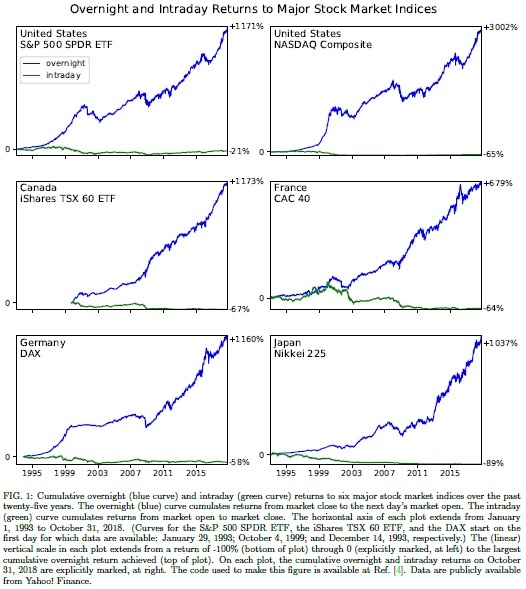 We provide time-series evidence that during periods of high volatility in the U.S., an increase in the arbitrage activity by the authorized participant (AP) (as measured by net share creation/redemption) results in an increase in innovation in such daily correlation. We argue that during periods of high volatility in the U.S. market, it is harder for investors to distinguish between noise and fundamental component of the order flow. Consequently, based on wake-up call hypothesis investor may treat U.S. shocks as relevant to their own country and consume such shocks via ETF arbitrage. ffect should not be reverted. If such fundamental information is common both to U.S. and local market, one should observe a higher correlation between them. Consistent with the literature, we argue that ETF transmits both fundamental and noise shocks to the underlying economies. We show that countries that have a higher degree of price discovery in their ETFs have on average a higher correlation with the U.S. market. In these markets fundamental information gets incorporated into ETF prices faster than in the Net Asset Value (NAV), and therefore, market makers closely follow and learn from changes in ETF prices. This is the case when derivative securities price the underlying assets, rather than the other way around. In addition, in order for fundamental shocks to get transmitted to underlying markets, the authorised participants (AP) must engage in arbitrage activity. We find that the lower the limits to ETF arbitrage the higher is the correlation between a country and the U.S. market. Neither the international trade channel nor the business cycles alter this result." We show that the pre-FOMC announcement drift in equity returns occurs mostly in periods of high market uncertainty or risk premium. Specifically, this abnormal return is explained by a significant reduction in the risk premium (implied volatility and variance risk premium) prior to the announcement, but only when the risk premium is high, e.g., when it is above its median. Likewise, the magnitude of the FOMC Cycle and other related patterns varies with uncertainty and risk premium. Market uncertainty measures are persistent and are not related to policy uncertainty or expectations. Markets become only marginally stressed in the days prior to the announcement and changes in uncertainty appear to be of lower frequency. We also explain why recent studies suggest that the pre-FOMC drift might have disappeared in the past decade, as this moderation is due to time variation that was also present in older data. Additionally, CAPM only works on FOMC dates when the risk premium is high, e.g., implied vol above its prior median level. The results are robust to different samples and measures of risk premium and uncertainty. "We show that pre-announcement return drift is associated with significant declines in risk (premium) during times of high risk (premium). Implied volatility and the variance risk premium decrease in the hours before the announcement in an almost perfect mirror image of the increase in market prices. Moreover, we show that the magnitude of the return drift and the decline in risk depends on the level of market implied volatility, or other related variables, days or even weeks prior to the announcement. Just to exemplify, the average pre-FOMC drift when implied volatility is above its prior median is 109 basis points (bps), while it is only 9.7 bps when it is below its median. In the bottom 20% of implied volatilities, the drift is close to zero or even negative, depending on the specification. Lucca and Moench  also showed the importance of the VIX in their analysis, but here we show that this and other market uncertainty variables are actually essential for a better understanding of the pre-announcement return drift and all FOMC announcement related patterns. 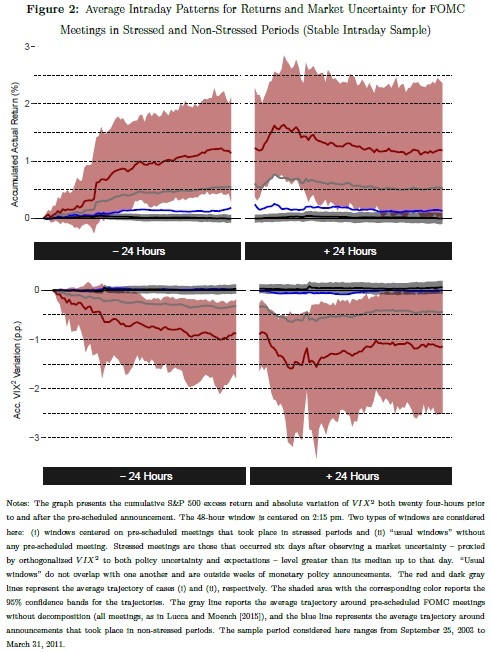 Figure 2 replicates a figure in Lucca and Moench  that shows stock market performance around FOMC releases. Here we show that the pre-announcement drift is much stronger in periods of high risk premium and uncertainty. We also provide clear evidence of investor relief, i.e., a decline in implied volatility or other risk measures, hours before the announcement using intraday information. Panel B of Figure 2 also shows that uncertainty is going down as a mirror image of the realized return. The magnitude of this pre-announcement investor relief also depends on the level of market uncertainty, as it tends to go down more when it is high. Considering the squared value of the VIX as our priced risk proxy, we show that, during high volatility periods, implied variance declines by 103.5 bps in anticipation of the announcement, while during low volatility periods, it rises by insignificant 0.3 bps. Hence, high volatility periods present both higher realized equity returns and greater resolution of market uncertainty hours before pre-scheduled announcements. When the US fiscal condition is strong, the dollar is strong and continues to appreciate against foreign currencies in the next 3 years. This pattern is unique to the US, explaining 50% of the low-frequency variation in the dollar's value and absorbing the return predictability of the forward premium. In a model with sticky prices, I show this pattern is driven by the comovement between the US fiscal cycle and the US investors' risk appetite: During US expansions, higher US government surpluses increase the nominal value of the dollar, while less risk-averse US investors require lower returns to hold foreign currencies. Consistent with this view, the US fiscal cycle also explains the term premium, the dollar carry trade, the currency return momentum, and the US investors' capital flows. "The US fiscal cycle lines up with the dollar's value and future return against foreign currencies. 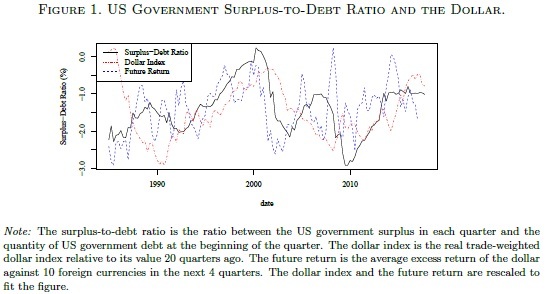 Figure 1 plots the US government surplus-to-debt ratio along with the dollar index and the dollar's excess return against foreign currencies in the following 4 quarters. The surplus-to-debt ratio measures the net fraction of its outstanding debt the US government pays down in each quarter, reflecting a slow-moving fiscal cycle. Since the late 1980s, a higher US government surplus-to-debt ratio corresponds to a stronger dollar today and predicts a higher expected return on the dollar in the future. This finding is also unique to the US: Higher government surplus-to-debt ratios do not correlate with higher nominal exchange rates in 8 out of 10 other developed countries, and do not predict higher currency returns in 9 out of 10 other developed countries. I conjecture that this relationship between the US fiscal cycle and the dollar is driven by two mechanisms. On the one hand, the fiscal theory of the price level shows that currency value reflects the present value of government surpluses. When the US government surpluses are higher, the dollar is stronger. On the other hand, higher US government surpluses indicate US expansions. During expansions US investors require a lower compensation for holding foreign currencies. As foreign currencies have a lower risk premium with respect to the dollar, the dollar has a higher expected return with respect to foreign currencies. ffects the dollar's real return. Price stickiness is required to connect the nominal and the real exchange rates. In a reduced-form new-Keynesian model, I derive the dollar's real exchange rate as future cash flows minus future expected returns. Higher government surpluses increase the dollar's cash flows, whereas a lower risk premium of the US investors increases the dollar's expected returns against foreign currencies. In this way, the dollar is a special asset whose cash flow is positively correlated with its expected return. When the US fiscal condition is stronger, the dollar has a higher valuation and a higher expected return. First, the forward premium puzzle finds that a higher forward premium of the dollar predicts a higher excess return on the dollar in the short run. Second, a higher US government surplus-to-debt ratio is associated with a lower term premium and a lower Cochrane and Piazzesi (2005) bond factor, both of which measure the risk premium of long-term US government bonds. Third, Lustig, Roussanov and Verdelhan (2014) construct a dollar carry trade that buys foreign currencies against the dollar whenever the dollar's forward premium is below 0, and shorts foreign currencies against the dollar otherwise. Since the US government surplus-to-debt ratio comoves with the dollar's forward premium, I construct currency portfolios that exploit the time-series variation in the surplus-to-debt ratio. These portfolios have similar Sharpe ratios and explain the abnormal return of the dollar carry trade, providing evidence for the out-of-sample return predictability of the surplus-to-debt ratio. ects in currency returns. My model shows that when the US government fiscal condition improves, the dollar appreciates and is expected to have a higher return in the future. In this way, the US fiscal cycle drives the common variation in past and future currency returns. Consistent with this result, past currency returns no longer predict future currency returns once I control for the US government surplus-to-debt ratio." We present two interesting research papers written by Bruce Knuteson. He contemplates why the cyclically adjusted price to earnings ratio of the S&P 500 index has been oddly high for the past two decades. He states that persistently strong equity market in US (and therefore also its high valuation in a comparison to history) and also in other developed countries can be an outcome of intraday trading pattern of several huge quant equity long-short funds which aggressively buy in the morning and sell in the afternoon to expand their trading book (or alternatively to simply manipulate market - push prices of stocks in their portfolio up). We note a simple mechanism that may at least partially resolve several outstanding economic puzzles, including why the cyclically adjusted price to ear nings ratio of the S&P 500 index has been oddly high for the past two decades, why gains to capital have outpaced gains to wages, and the persistence of the equity premium. "In United States equity markets, bid-ask spreads early in the trading day are typically larger than spreads later in the trading day. The price impact of aggressive trades early in the trading day is therefore typically larger than the price impact of equally sized aggressive trades later in the day. Market makers make wider markets early in the trading day. The market, viewed as an information aggregator, respects the information content of aggressive orders early in the day more than the information content of equally sized aggressive orders later in the day. A repeated sequence of intraday round trips – e.g., buying in the morning and selling in the afternoon, repeated over many days – can therefore be expected to result in net price impact in the direction of the morning trade. If some market participant (M) performs the same round trip each day – e.g., aggressively buying in the morning and selling in the afternoon – M’s trading will, on average, nudge the market’s midprice in the direction of his morning trading. If M has a large, slowly varying portfolio, the mark to market gains resulting from M’s daily intraday round trip trades can exceed the cost M incurs by crossing the spread twice each day. In light of the above, it is striking that the returns to the S&P 500 index over the fifteen years spanning 1993 to 2007, inclusive, all came at the start of the trading day. Indeed, Figure 1 of Ref. 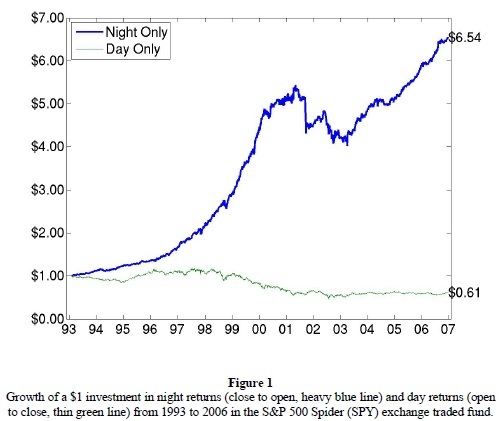 [M. J. Cooper, M. T. Cliff, and H. Gulen (2008), Return Differences Between Trading and Non-trading Hours: Like Night and Day, URL http://ssrn.com/abstract=1004081] is so striking it calls for a simple explanation. We propose such an explanation. 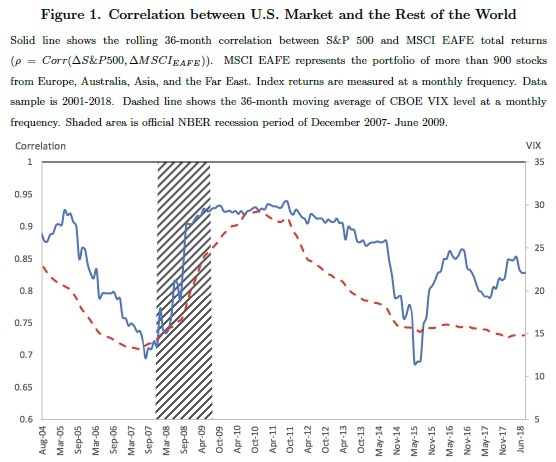 We propose some market participant M, tending to trade in one direction early in the trading day and in the other direction later in the day, has had a much larger long-term effect on United States equity prices than has so far been widely appreciated. We point out a simple equities trading strategy that allows a sufficiently large, market-neutral, quantitative hedge fund to achieve outsized returns while simultaneously contributing significantly to increasing global wealth inequality. Overnight and intraday return distributions in major equity indices in the United States, Canada, France, Germany, and Japan suggest a few such firms have been implementing this strategy successfully for more than twenty-five years. "The Strategy is very simple: construct a large, suitably leveraged, market-neutral equity portfolio and then systematically expand it in the morning and contract it in the afternoon, day after day. The Strategy works because your trading will, on average, move prices in a direction that nets you mark-to-market gains. Bid-ask spreads are wider and depths are thinner near market open than near market close, so aggressive trades early in the trading day move prices more than equally sized aggressive trades later in the day. An intraday round trip (e.g., aggressively buying in the morning and selling in the afternoon) thus nudges the market's midprice in the direction of your morning trading. A reasonable level of daily round-trip trading combined with a suciently large portfolio will therefore produce expected mark-to-market gains exceeding the expected cost of your daily round-trip trading. ed in major indices of other developed countries. The only plausible explanation so far advanced for the highly suspicious return patterns in Figure 1 is someone using the Strategy.